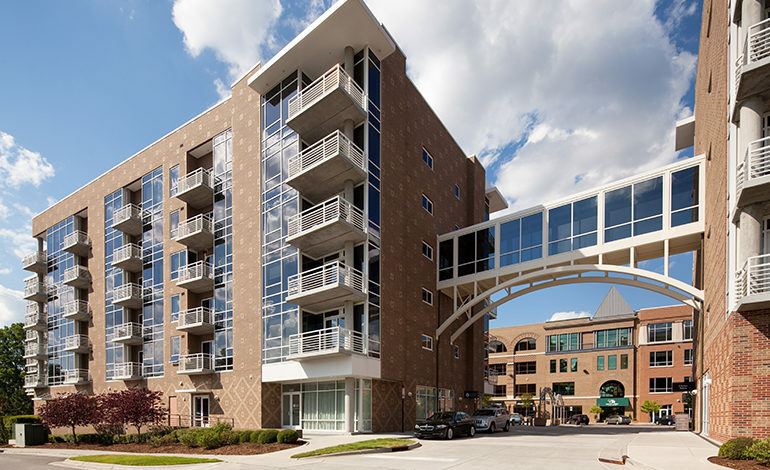 Located at the gateway to Chapel Hill, East 54 is a new urban village of luxury condominiums, shops, dining and office suites that totals more than 273,000 square feet. As a participant in LEED® Neighborhood Development pilot program, East 54 is among the most environmentally sound, mixed-use communities in the U.S. Incorporating sustainable site development measures, water and energy conservation, materials re-use and indoor environmental features, East 54 achieved a Gold Level Certification in LEED-ND. 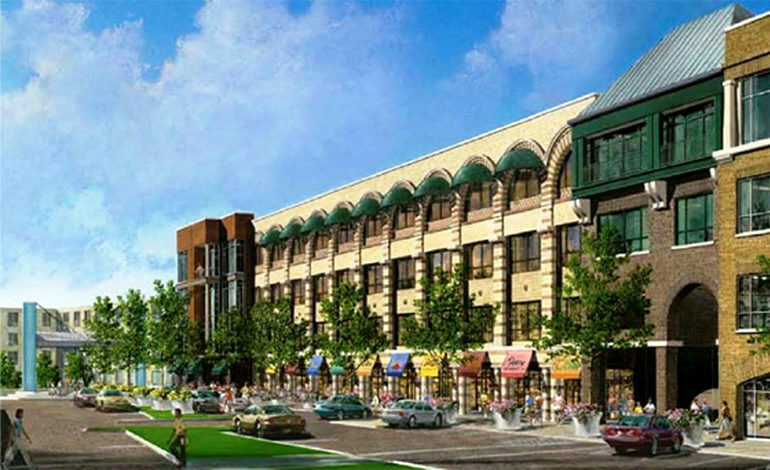 McAdams provided preliminary design and construction cost estimates that were used to determine the project feasibility. We successfully obtained all on-site and off-site construction permits for demolition, mass grading, erosion control, utility extensions, stormwater management, road widening and signal designs. Stormwater Management was a critical design element for this project with no room for above-ground facilities. McAdams took the lead designing two underground stormwater storage facilities that met the Town’s pre- vs. post-development detention requirements while providing a water supply source for the irrigation system.